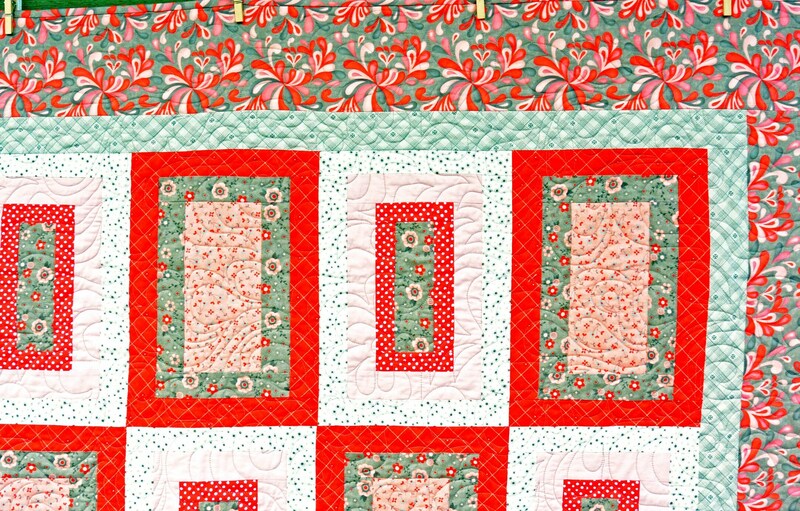 The star of this quilt is really the border fabric. 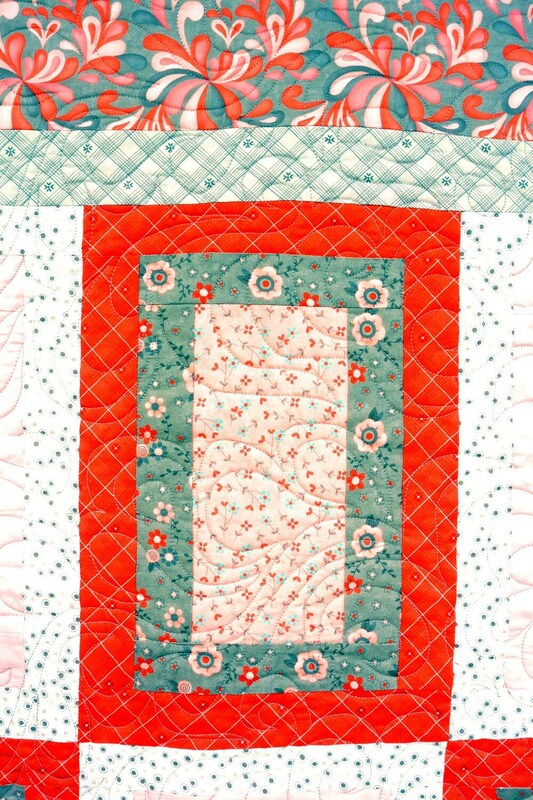 In a gray, coral and red plume design, it is the basis for the coordinating colors in the blocks. It is large enough to fit a twin bed. If you have a girl's room that needs some new life, this unique quilt will solve your decorating problems! The quilt back is a solid gray fabric called "Silver Ash". 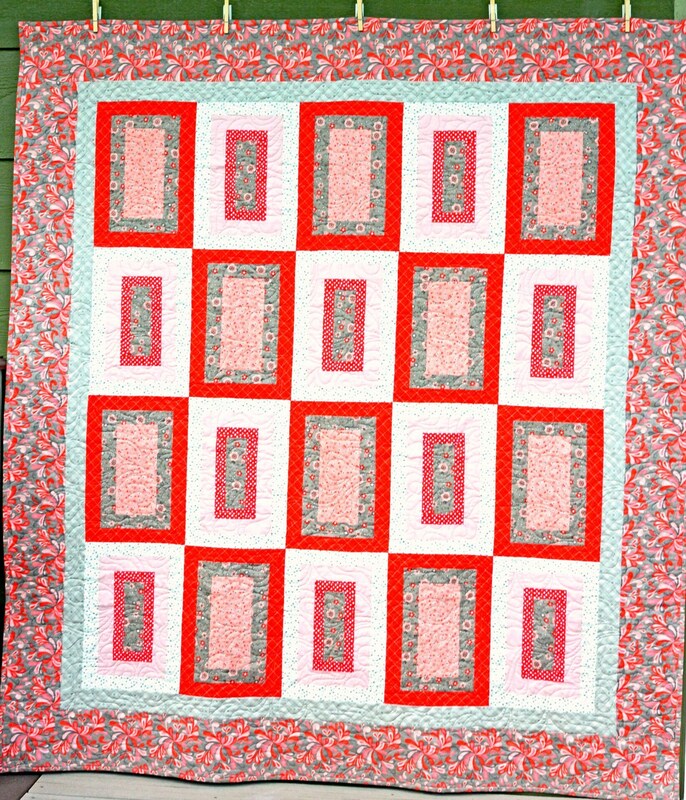 The quilt was quilted using a thread in a playful looping design. 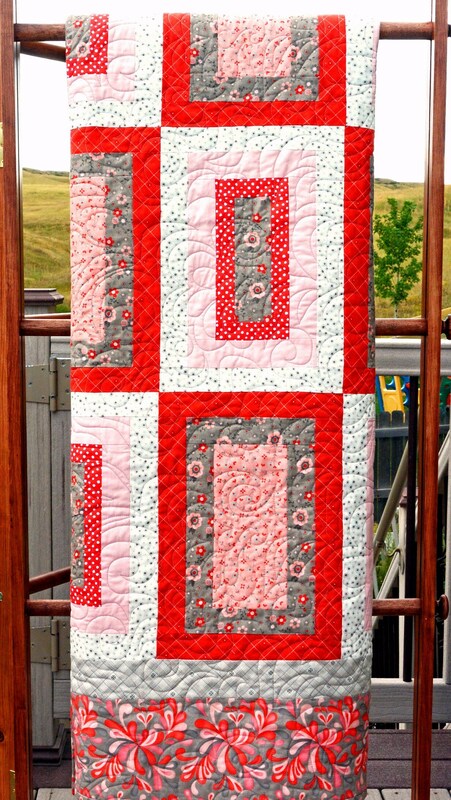 This lap or twin size quilt measures a generous 66" x 75". THIS STUNNING QUILT SHIPS TO U.S. 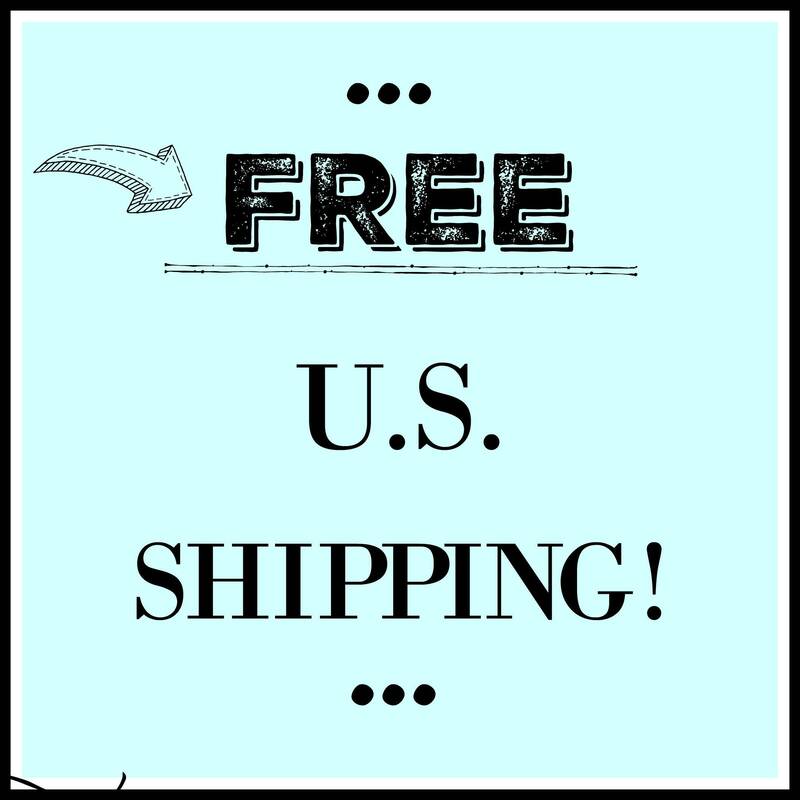 LOCATIONS FOR FREE! This quilt is made from the finest quilting-quality cottons and is hand-crafted by me on my sewing machine. It has been professionally quilted (see photo of the quilt back.) I use a double-fold binding, which is machine-stitched in place and finished by hand. My home is smoke-free. Care: Hand wash in cold water or machine wash in cold on gentle cycle, low dryer, iron as desired. I strongly recommend spot cleaning, if needed, or a trip through the dryer to remove dust. If washing is necessary, it would be very wise to add two or three Shout Color Catchers to the washing machine to prevent color bleed. 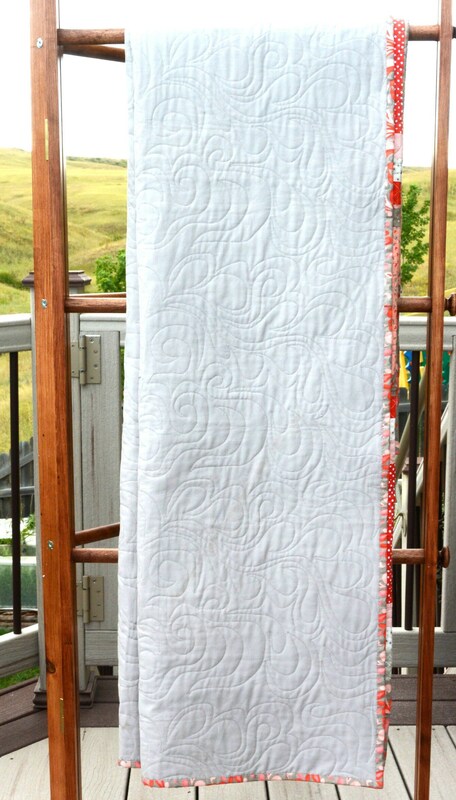 This listing is for the quilt only; the quilt ladder is not included.